open or close the gate manually. 2. When Gate is Obstructed: Gate stops . 4. Speed Control: Gate opening and closing speed can be adjusted. 5. Gentle Start: The Gate Opener is equipped with a soft start function. 6. 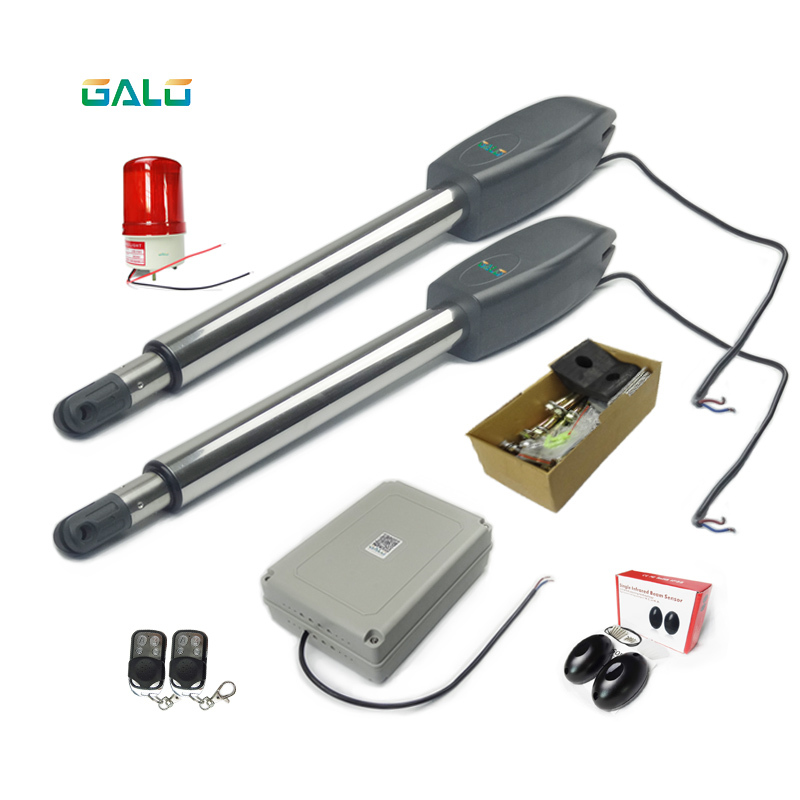 Auto Close: The Gate Opener System is equipped with Auto close function with adjustable closing time delay. 7. Single or Dual Gate: Either Single or Dual Swing Gate can be opened. button,large size or small size control box. 11. The Gate Opener can be configured to allow smooth noiseless operation.